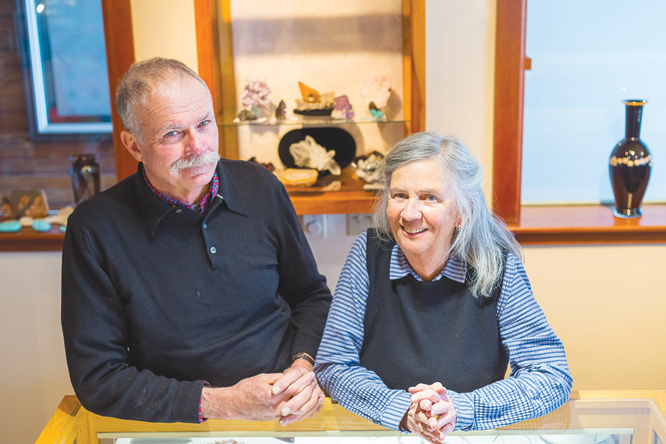 Inside Ice Mountain Jewelry, there are still a few cabinets sparkling with gems, jewels and artifacts, while some of the glass cases are empty, their contents either sold or stored as Carol and Brian Dale prepare to close their business of more than 40 years. 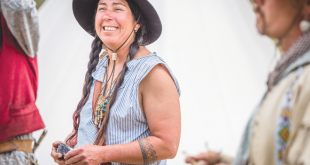 Through the years, Ice Mountain Jewelry evolved and expanded, growing more specialized, changing names and locations that involved sharing space with other local artists and craftspeople. The couple’s love affair with Crested Butte, and consequently each other, started back in 1969, when Brian attended Western State College (WSC) as a way to explore the west and a reason to live in the valley where he could ski. He arrived from Michigan, just north of the Motor City, where he learned to ski under the night lights, where, as he recalls, “It was cold as hell, especially with those leather ski boots.” One of his WSC professors (Harry Dodge) schlepped a group of his students up to meet the old-timers in Crested Butte, where Brian fondly remembers meeting some now long-gone characters. The ski area was in its infancy at that time, having cranked up the first lifts in 1962 and Brian observed the early metamorphosis from mining town to ski resort as the remaining old-timers took jobs at the new resort. “There was a transition. Some of those who were working in the mines were now running the gondola. The gondola was pretty cool and people thought it was beautiful. They [the lift ops] had to stabilize the thing when it swung into a metal shed and you got out. Back then, the ski area was like Nordic skiing is now—every now and then you’d run into someone on the runs,” Brian says as he recalls the sparsely populated slopes. Carol was passing through Crested Butte in 1971 on a camping trip with friends. Coming in from San Francisco, but hailing from Maryland, she was on her way to Santa Fe, just taking some time off after graduating from college before starting her real life. “We were camped out on the other side of Kebler, and we’d come to town to drink beer at the Grubstake,” she says. After spending a few days enjoying the town, Carol decided she wouldn’t go on to Santa Fe with her friends. Brian met Carol in town and, when she eventually decided to head to Santa Fe to take a metal working class, he went along to help pay the rent, working construction jobs. When Brian met Carol’s metal teacher he became intrigued with silver working, which was going through a popularity renaissance in America at the time. They chose to return to Crested Butte, “specifically because it was a better climate for what we wanted to do, which was skiing and hanging out.” Brian laughs that the year that he should have graduated from WSC, he and Carol decided instead to open their first business. He was already doing what everyone else in the sleepy town was doing to survive, fighting fires, working construction and anything and everything else. They opened Coal Creek Cabin in Eric Roemer’s cabin behind Penelope’s, a cooperative shop where several artists came together to sell their craft—silver worker Diane Johnson; Sharon Nelson, who tailored high-end custom cowboy shirts; leather worker Rob Wolfe; and Wally White, who imported rugs from Middle East. They both recall the dirt street days of Crested Butte, dilapidated Elk Avenue buildings, many of them empty, and cheap rent in un-insulated houses where the snow and winter winds would blow through the walls. Brian chimes in, “This was the second coming of Coal Creek Cabin, and it was only for one summer. 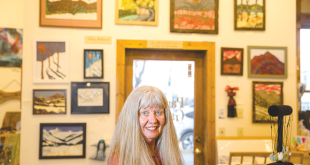 Then we moved to the Four-way Stop in 1977 and renamed the business the Crested Butte Gem and Mineral Society.” They worked out of a garage-turned-shop for five years, hauling their water since there was no plumbing to the old building. They built their current space in 1984, moving the old garage-shop off of the property, and hammering every nail of their new store. Jim Gebhart built the matching separate space at the same time. Back when Carol and Brian were in Santa Fe, Carol was working in a restaurant where the owners were Jim Gebhart and Jerry Deverall. When Gebhart and Deverall came to visit the two in Crested Butte in 1973, they unanimously declared, “Holy crap, we’re moving here!” which they eventually did after they sold their restaurant. Meanwhile, after the Dales built their shop, they began to help populate town. Their daughter, Taylor, was born in 1978, and their son, Hunter, came along in 1982. At the time of Taylor’s birth, the two were living out at Wildbird. “We had to hike in with a new baby,” since no cars were allowed past the parking area back then, nor are they now. He jokes that he and Denis were basically the grunts of the high-altitude miners (Denis Hall is now utilizing his geologist degree though, in addition to being one of the Crested Butte News’ regular column writers). “That’s how we originally got into the mineral thing, Henry was a tremendous researcher who scouted for mineral locations. Back then, the theory was that these mountains had been prospected for gold and silver but not minerals and gems. We were grubstaked [financed] by Tommy Jacobs, who owned the Grubstake bar, to go dig Italian Mountain. We dug prospect pits all over the side of that mountain, basically camping out and living on the mountain. “At one point we had a prospect operation for orthoclase [a mineral], for the study of crystal structure on this side of Maroon Pass.” Brian pulls out a beige-colored piece of rock naturally angled into perfect triangular and 90-degree square cuts by millions of years of formation. 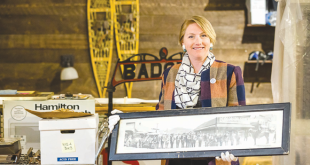 For several years in the ‘90s they operated two stores—one in the basement of the Treasury Center on the mountain in addition to Ice Mountain, and after closing the slopeside shop, they opened on Elk Avenue in the Grubstake building for three years. The Ice Mountain store was higher end, with the Grubstake shop offering more sterling and less fancy gemstones. 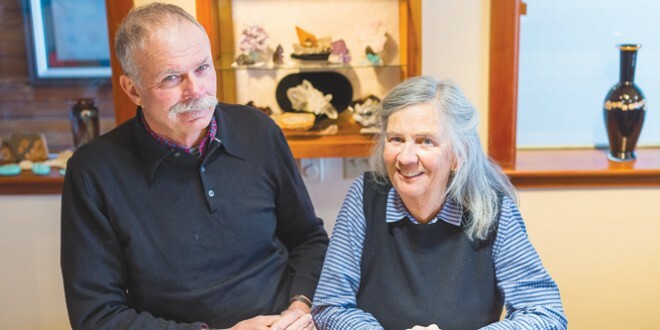 For decades, the duo has made many of the wedding rings that grace the hands of locals and visitors alike. So, after 40 years of watching town change, kids grow up and working practically nonstop, Carol and Brian have decided it’s time to be less serious, although Brian will still be dabbling in the art. “I plan to keep my workshop open in the back of the building. I’ll still be making something, probably just melting down the same piece of gold and remaking it into another piece of jewelry,” he chortles. One of the many facets of their work is building mineral collections for other enthusiasts, and they’ll continue to do that for interested clients. On a wall is a case with a collection in progress for a private client: Spiked multi-colored crystals, rocks whose hidden contents have been cracked open to reveal deep reds, oranges or purples, rare polished stones from all over the globe—a treasury to be cherished and repeatedly admired. There will be life after Ice Mountain for Brian and Carol, who have already applied for multiple river runs. “If we get any of the permits, we’ll be gone during the summer prime time, just like normal people are able to do. We’ll be able to hike during the weekdays instead of just the weekends around here,” Brian says. He’s counting on doing a lot more biking and kayaking as well. Contact Carol and Brian Dale, and the continuing journey of Ice Mountain Jewelry through icemountainjewelry.net.